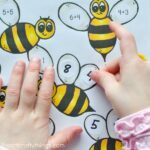 My preschooler recently showed interest in counting from 1 to 100 by herself. 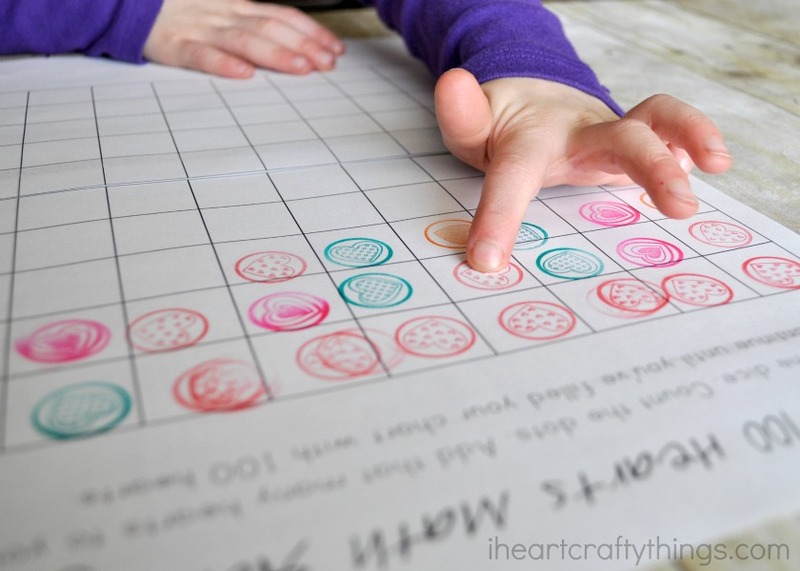 I know having this skill down will be a huge benefit to her in Kindergarten next year so I’ve been working on putting together some activities for her that work on counting to 100. 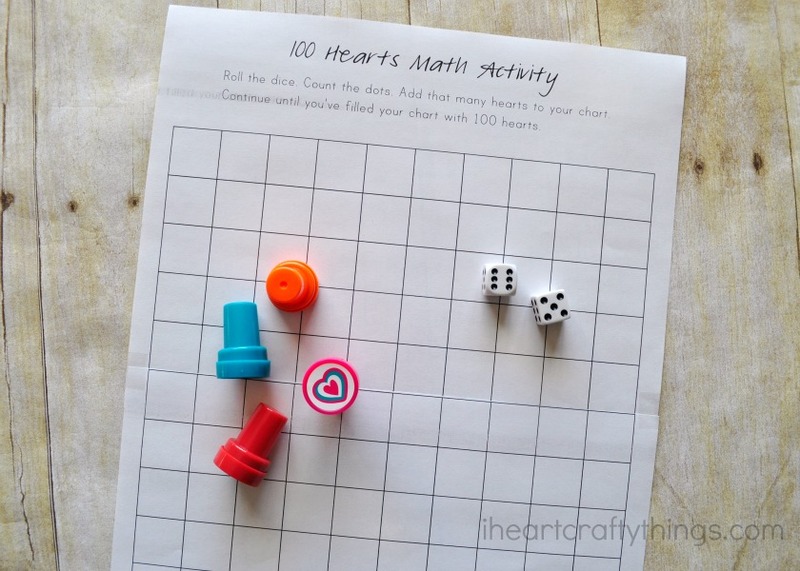 This 100 Hearts Preschool Math Activity puts some fun into learning and is a great compliment to Valentine’s Day since it’s all about hearts. 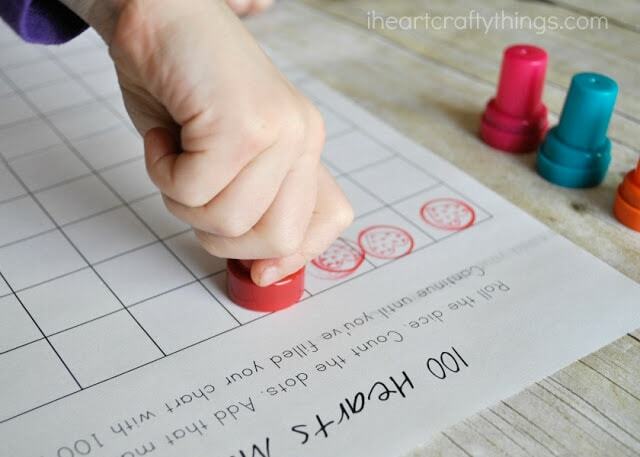 We used fun little heart stamps in this activity but you could also use heart stickers as an alternative. 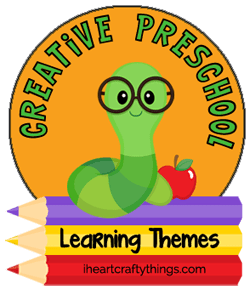 Make sure to check out more creative preschool heart activities at the bottom of this post. 1. 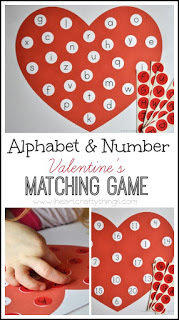 Start by printing out the 100 Hearts Chart Printable. I couldn’t fit all 100 squares onto one page so it’s two pages. If you want to connect the two pages together like I did, cut the top off of the second page (ending at the start of the table) and then line it up and tape it onto the first page. 2. 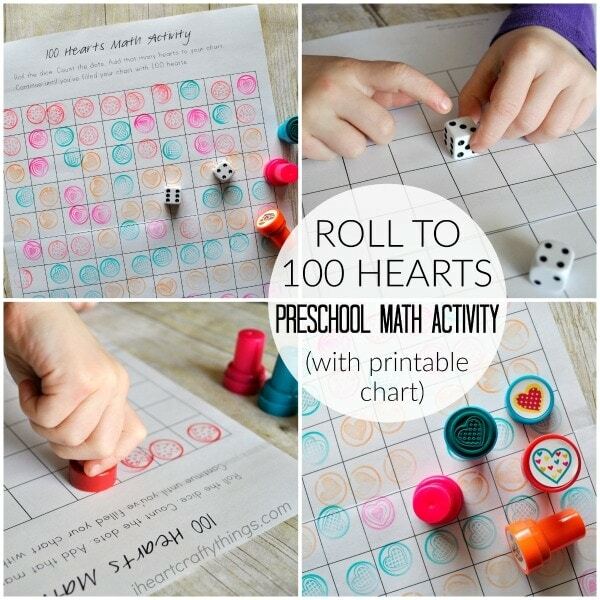 Gather your dice and heart stampers and the activity is all set up and ready for your preschooler. 5. Continue rolling the dice and adding hearts until you reach 100. One of my favorite parts of the activity was how my preschooler stopped several times and decided to count how many hearts she had so far. This is what I had hoped for so I was excited to see her direct the activity all on her own. Since our ultimate goal is being able to count to 100 unassisted this was great practice for her. 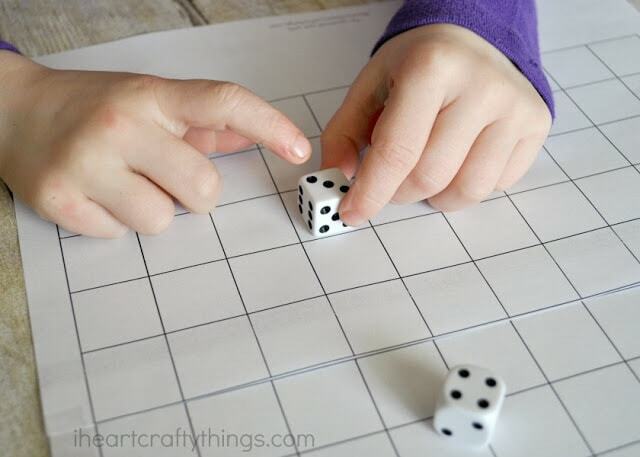 Since the chart is set up as rows of 10 squares, this also helps to practice counting by 10’s. You can even write the numbers (10, 20, 30, 40, etc) on the side of the chart. 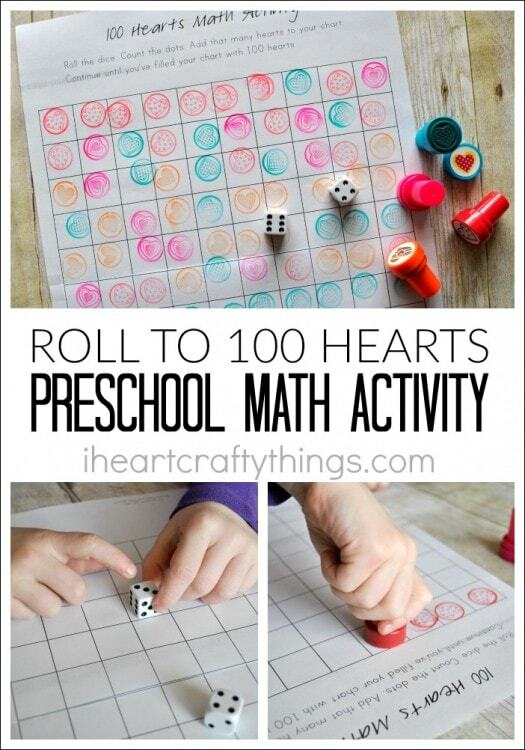 Looking for a fun children’s book about hearts to go along with this preschool math activity? Try The Day it Rained Hearts by Felicia Bond. 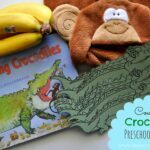 SIGN UP FOR OUR NEWSLETTER TO KEEP UP WITH OUR LATEST CRAFTS AND ACTIVITIES. Stop by February 5, 2016 for “When I grow up I want to be…” activities. 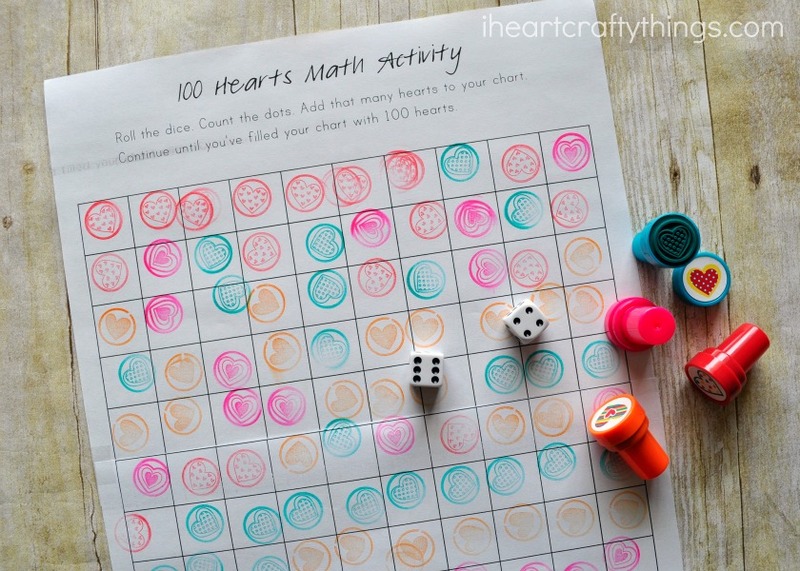 I love the Heart stamps you used with this activity! Perfect activity for Valentines! 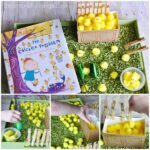 Love this activity. I think my son would dig the stamps too! This will be great to help celebrate the 100th day of school which is this week for us!